As an artist: Rusike’s work has been auctioned at the 2014 Mandela Memorabilia Auction at Stephen Welz & Co. She has participated in a number of group exhibitions i.e “Faces and Clay”, Imba Ya Sarai, 2014 Johannesburg, “Shared Inheritance”, Cosmopolitan Hotel, 2014 Jeppestown, Johannesburg, Turbine Art Fair 2014 Johannesburg, “The Martienseen Prize Exhibition”, 2013 Wits Art Museum, Braamfontein, Johannesburg. As a curator: Rusike curated alongside Thembinkosi Goniwe, The Art Africa Fair 2017, A Flagrant Arcade in Contemporary Art. 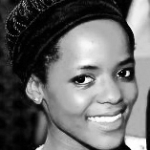 Rusike was also the Curatorial researcher and Exhibition Coordinator for the touring exhibition Towards Intersections: Negotiating Subjects, Objects and Contexts hosted at UNISA Art Gallery, Pretoria, Museum Africa, Newtown, Johannesburg and Gordon Institute Of Business Science, Hyde Park, Johannesburg. As well as curating her own exhibition at The Point of Order, Braamfontein, Johannesburg titled Introspection… Where art thou? Along with other exhibition during her final year at the University of the Witwatersrand: The Creative Exchange: Coalition, 2014 Wits School of Arts, Braamfontein, Johannesburg, Newwork14’ Art Auction, 2014 Kalashnikovv Gallery, Braamfontein, Johannesburg, WITS REVISITED: Race, Representation and Memory, 2014 Wits University, Braamfontein, Johannesburg, The Creative Exchange: Condensed Form, 2013 Wits School of Arts, Braamfontein, Johannesburg.